I hope you all had a wonderful time during Christmas and are ready to loose some of that holiday stuffing. Our first event will be at Naivasha crater lake, below are more details about the event. Tucked away in a hidden corner of Kenya's Great Rift Valley, Crater Lake offers a stirring encounter with wild life, just 2 hours’ drive from Nairobi. Surrounding a beautiful volcanic crater lake fringed with acacias, this small sanctuary has many trails, including one for nature walk enthusiasts along the steep but diminutive crater rim. 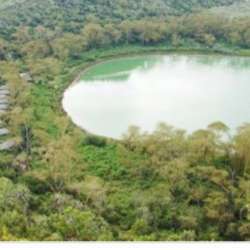 We will embark on a guided 2.5 hours nature walk on the crater rim with an awesome/gorgeous view of the lake in the crater. We will see monkeys, gazelles, zebras, giraffes, warthogs, among other wildlife! Among the Protected content of birds. After the nature walk will have our buffet lunch at the floating restaurant and relax. *Comfortable shoes and Comfortable Clothes for the nature walk. If possible carry open flats/shoes for comfort after the walk. *Transportation to and from Nairobi.